Gary E. Vasseur, Principal and President of Vasseur Commercial Real Estate, Inc., is a veteran of the real estate industry in Fort Worth, TX. 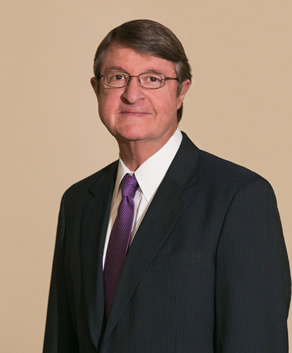 Since graduating with a BBA from TCU in 1971, he has been actively involved in sales, leasing and management of commercial, industrial and investment properties in Fort Worth and Tarrant County. During his tenure, Gary has consistently earned “Top Producer” Awards, multiple Platinum Awards and is the recipient of the prestigious Realtor Emeritus designation from the National Association of Realtors. Vasseur is also the 2017 recipient of the Charles D. Tandy Award which is awarded annually by the Society of Commercial Realtors. This award was established to recognize commercial realtors who best exemplify the highest in professional and ethical standards. He is also a member of the Fort Worth Association of Realtors, the Society of Commercial Realtors, Fort Worth South and All Saints Episcopal Church. He is a past volunteer of the American Cancer Society and current volunteer for Meals on Wheels of Tarrant County.